Okay so I have been really, really bad and not updated my blog for months. Life and family circumstances have got in the way some of the time. I was quite shocked when I realised quite how long it had been since I last posted so here I am full of good intentions for 2014. 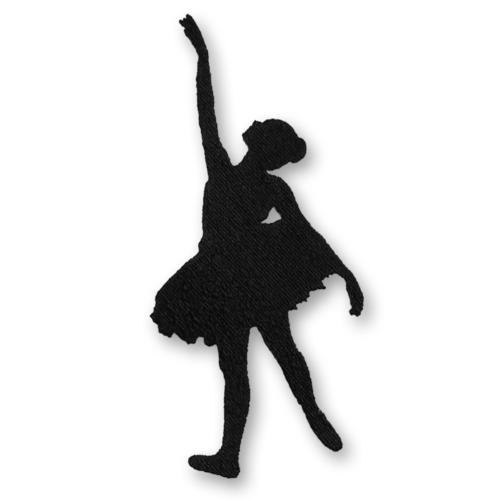 The Embroidery Crazy machine embroidery designs website has continued to be updated and we added a large collection of dance silhouettes, such as this ballerina, at the end of last year. This month we have our usual 2 free downloadable designs – a cute hibernating bear and for music lovers a nice little guitar. Five more new designs have been added, including this very cute penguin in the snow. He will look great on children’s clothing. I would even put him on my own t-shirt he’s so cute! We have also added a great set of ‘Family Rules’ to machine embroider and frame. I gave one of these to my daughter for a Christmas present as she has three young children to keep in order and regularly a fourth when her partner’s daughter is there too. It has a good mixture of behaviour reminders for a positive, loving family life. As an ex teacher I know anything visual is very helpful with young children. Here it is. I do hope everyone reading this has a happy and successful 2014. Our family have a summer wedding to look forward to when our eldest daughter remarries her lovely partner in August. I’m really looking forward to it, they have chosen a really beautiful location by Lake Windermere for their wedding venue and my sister-in-law is coming all the way from New Zealand in August so will be there too. My daughter wants a ‘handmade’ wedding so lots of sewing involved! Dragonflies and a frosty snowflake. Today I have been busy on the website. Our new free machine embroidery designs for November are now available. These are a very pretty frosty snowflake design (pictured on a tie-dye background) and a design for any ‘Little Star’, which would look great on children’s clothing. I have also completed the dragonfly designs and put them for sale along with a cute polar bear design. 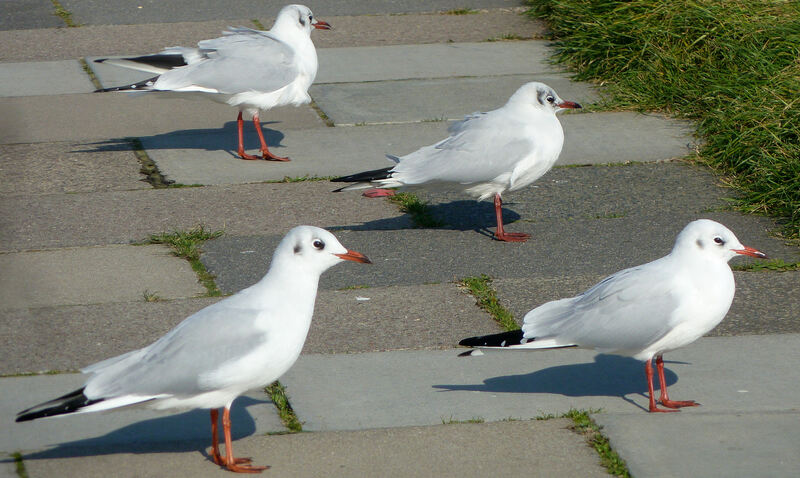 I was walking back from town the other afternoon and came across these seagulls just sitting on the pavement. They just made me laugh the way they were all sat there in a group as if they were waiting for something important! 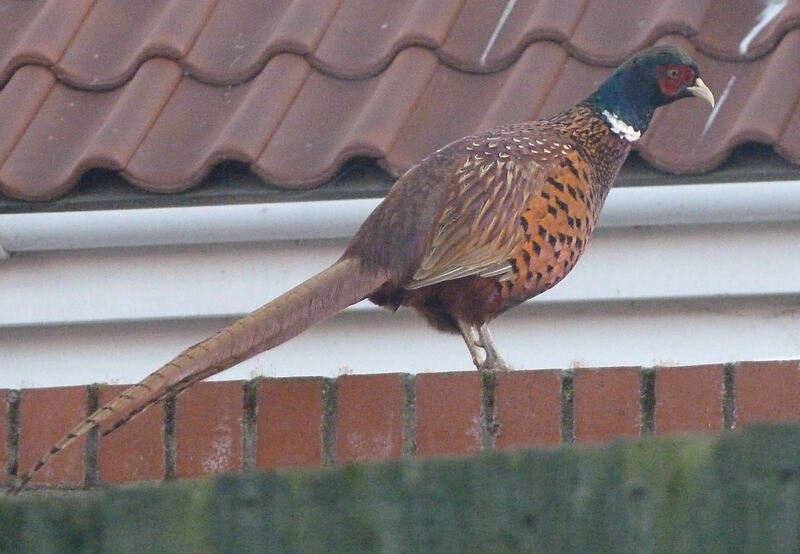 Our lovely cat Cajun, pictured below, thought all his Christmases had come at once when he spotted this big pheasant on our lawn!! 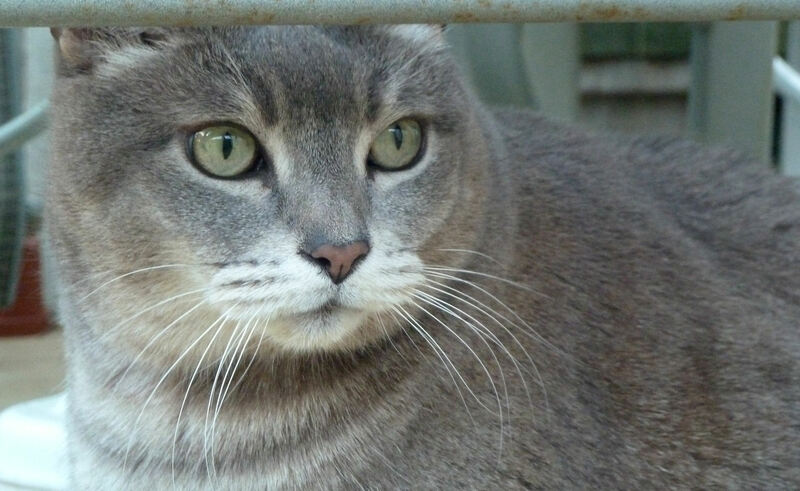 Of course it flew up onto the fence as soon as he went out the catflap. He was most disappointed, hah! Oh dear, It’s that very busy time of year when things start to snowball and I realise I haven’t been posting as regularly on my blog! I have been very busy sewing things to sell at a W.I. christmas craft fair which I am having a stall at next month. I have also managed to do some new machine embroidery designs for the website, which should be going on very soon. There are 3 lovely dragonfly designs, inspired by the real dragonflies I saw on one of my Naze walks recently. Then I have also made a very sweet polar bear design and a pretty snowflake. Last week I had an argument with a local store manager over the phone and needed to go out to calm down! 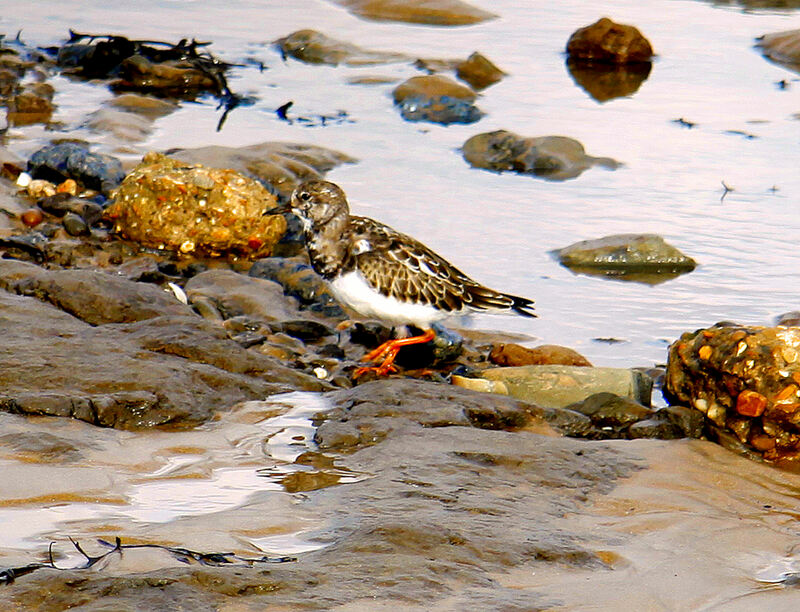 I took my camera off to the beach and spent an hour watching the Turnstones searching for food among the rocks where the tide had gone out. This is one of the photographs I took. They are very cute little birds that live on our beach in the winter then fly to Canada for the summer. They tend to stay in large groups so there were lots of them among the rocks. They lift the stones with their beaks, hence their name! I felt much more relaxed after spending time just watching them. Nature is wonderful therapy!